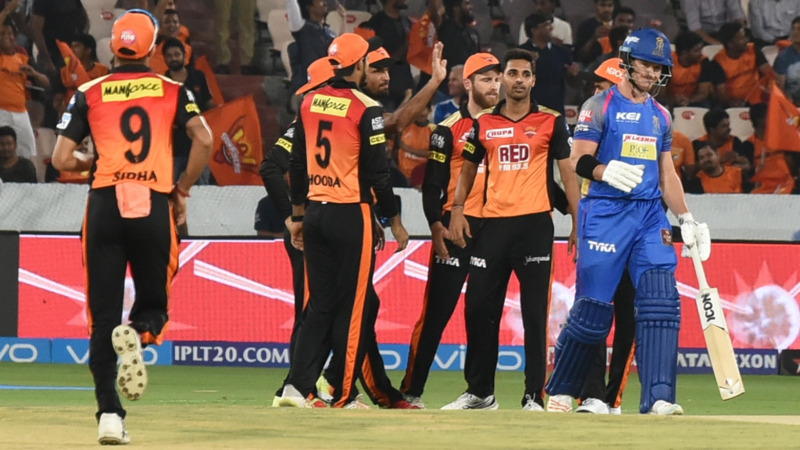 Sunrisers Hyderabad won the match by 9 wickets against the Rajasthan Royals at Rajiv Gandhi International Stadium, Hyderabad. 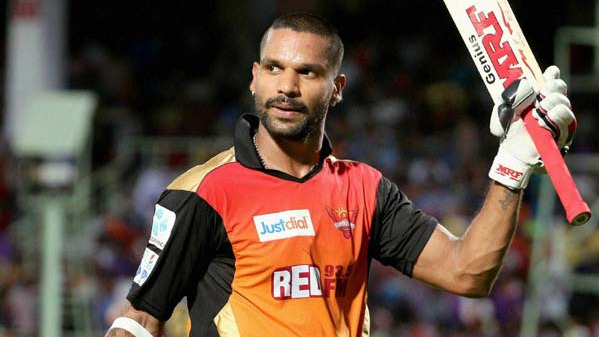 Shikhar Dhawan was awarded as the Man of the Match for his brilliant batting display throughout the match which led Sunrisers land on the winning side. Team Circle of Cricket gets down to list the 5 talking points of the match. Click on the links to get onto the next page. Rajasthan Royals had a very poor and a tough day with the bat. The team from Rajasthan was restricted to a very low total of 127. All the batsmen did not look in their form that's why the team had a low total on the board. Moreover, players like Ajinkya Rahana, Ben Stokes, and Darcy Short were also confined to a low score. Sanju Samson was the only one who played a responsive inning of 49 for his team and looked confident but Sunrisers bowlers should be credited for their marvellous performance during the whole match. Shakib Al Hasan of Sunrisers Hyderabad bowled a magical over where he got two crucial wickets of the opponent and had the match in SRH's favour. He got Rahul Tripathi and Sanju Samson's wicket to break Rajasthan's back and bound them to a minimal score on the board. Tripathi and Samson's wicket was actually the turning course of the game. Shakib Al Hasan is also one of the best all-rounders who can even bat and take quick wickets as well. Siddarth Kaul had a very fruitful day in the office as he had given very few runs of his bowling. He conceded only 17 runs and also grabbed two important wickets for his team. Siddarth Kaul was retained by the team at IPL auction. If he keeps on performing like this, surely he can get to feature in every SRH's game. He also had a decent Ranji season this year. Shikhar Dhawan and the newly named captain Kane Williamson had a useful partnership of 120 runs that made it easily possible for Hyderabad to clinch a 9 wicket victory over Rajasthan. Dhawan and Williamson were unbeaten on 77* and 36* respectively. Both the batsmen are well experienced and know each other's role in the team unit. 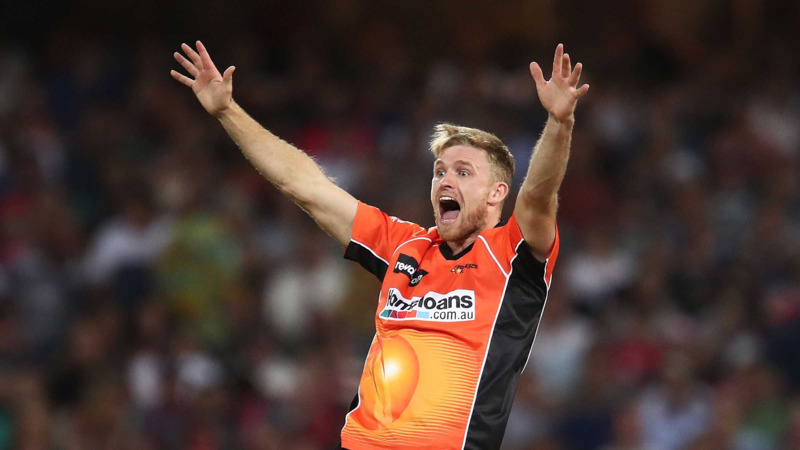 Sunrisers Hyderabad had a convincing win after beating Rajasthan Royal by 9 wickets. It was a team performance by all of the players, may it be batting, bowling or fielding they were outstanding in all the departments. They kept on hunting for wickets that was actually where Rajasthan did not capitalize their potential and lost the game. Hyderabad will definitely miss their star batsman David Warner in the ongoing tournament but they have some other quality players like Manish Pandey, Rashid Khan, and Bhuvneshwar Kumar who can give their best for the team.They will surely like to keep continuing their momentum going on the right path keeping in mind they face Mumbai Indians in their next encounter.